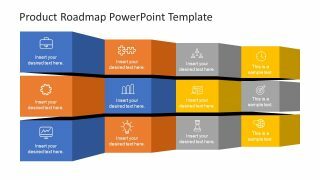 The Folded Product Roadmap Timeline Template is an outstanding business and management presentation. It is a 3D layout of rows and columns creating an awesome timeline design. It appears as a horizontal staircase of flash or label cards. 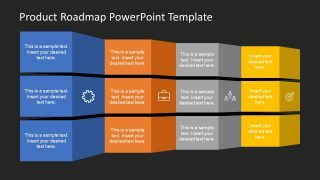 PowerPoint of folded product roadmap is a timeline for a wide range of products or services. The purpose of a product roadmap is to define long-term and short-term goals. And identify the processes and technologies to achieve these goals. In other words, it is an analysis i.e. monitoring throughout the product lifecycle. This includes the inception, kick start, development, launch, market review, and customer experience. 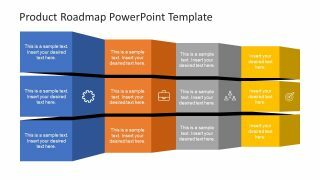 Hence, the folded product roadmap in PowerPoint could be the way of illustrating a flow of activities. These also include the planning and management of innovative solutions. The Folded Product Roadmap Timeline Template contains text placeholders at each fold of the diagram. 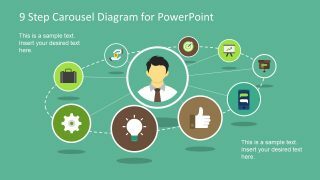 It also provides the clipart icons to graphically present each segment. The users can replace and add other relevant icons to the roadmap template timeline. 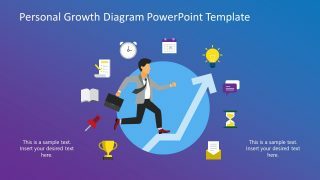 The product roadmap PowerPoint timeline has blue and tangerine color theme. It gives a professional look with blue and highlights the important sections with tangerine color. The roadmap presentations can demonstrate both new and existing product lifecycle. 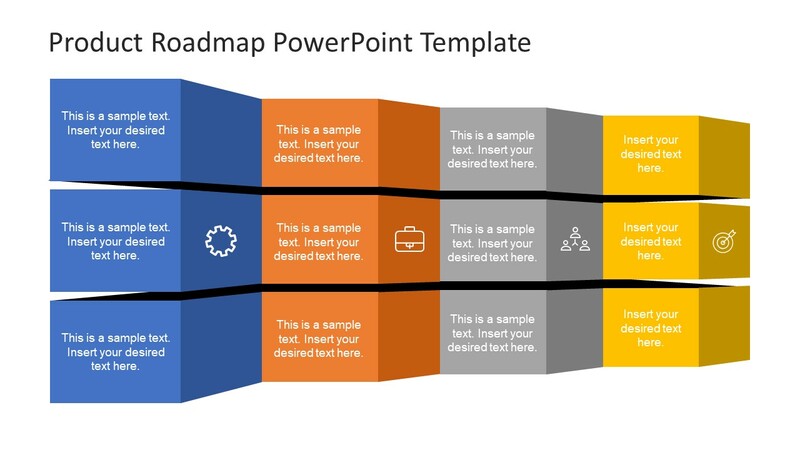 The PowerPoint product roadmap timeline in folded cards layout is basically a table of rows and columns. 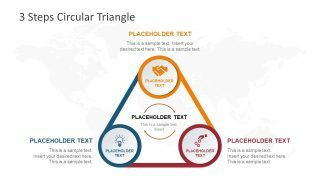 This way, the project or product manager can easily take cross-functional input from different departments. This process flow presents the deliverables against high-level business objectives. The product roadmap timeline template shows a framework of a strategic plan in 3D view of folded cards. 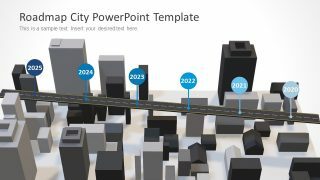 Two slides template of PowerPoint has 3X4 rows and columns design. Moreover, it shows three color labels on top suggesting the idea of a compatibility matrix. For example, the colors can indicate the performance of the product as poor, satisfactory, and excellent.